This past Sunday I completed my first half marathon in four years. The last one I participated in was the GO! St. Louis in 2012, so needless to say I was super pumped to be running in the MO' Cowbell Half!! Our morning started out super early, 4:40am to be exact. We had to get both boys up and dropped off to my parents and then out to the race all by 6:45. We managed to arrive on time and the place was packed, we had to park a decent distance away. ... Pre-Race selfie with the best running partner and friend I could have asked for! The course was incredible, winding through St. Charles and the neighborhoods in that area. The course was quite flat which was really nice! About 5 miles in I had to use the restroom, along with tons of other people, making having 5 stalls pretty challenging. I lost a lot of time at that point and also lost my flow of running. I tried to catch up the best that I could, however around mile 10 my body sort of started falling apart. My right knee began to hurt and I knew I had to push myself to make it the last 3.1 miles. I finished with a time that I was not entirely upset with but at the same time I know I could have done better, guess that just means there will be another half in my future!! ... Andrew took this picture right as I was about to cross the finish line and if you can't tell, I'm incredibly happy to be done! After the race we went out to breakfast and were met with some of our other friends to enjoy the post-race breakfast! 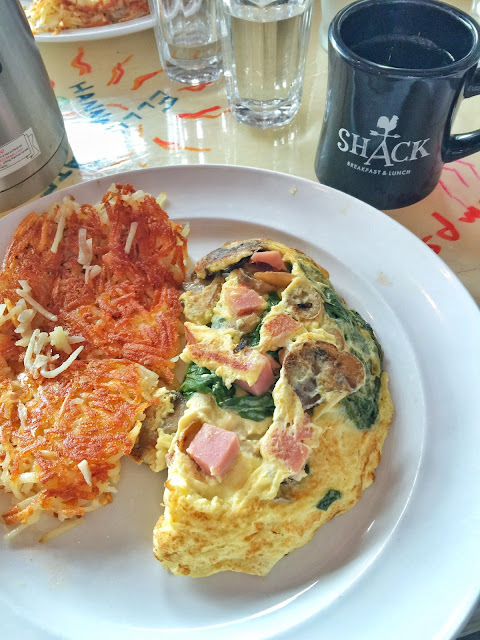 Seriously if you guys are ever in St. Louis please go check out the Shack for brunch, best ever!!! I hope everyone has a great weekend and I'll see you all back here on Monday! Oh man, this weekend was crazy busy!! If you follow me on social media then you already know... More about that later. Today I'm sharing with you all an awesome Roomie Workout as part of the Dorm Room Workout Series. 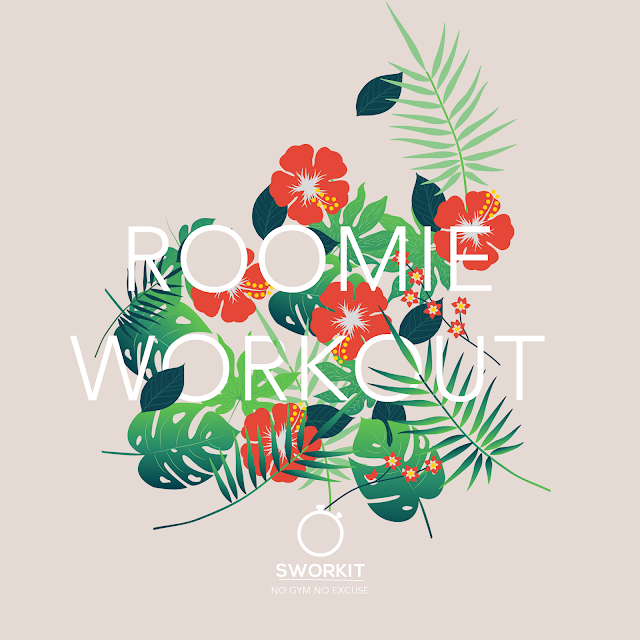 Seriously, what better way to stay motivated than working out with your room mate?!? 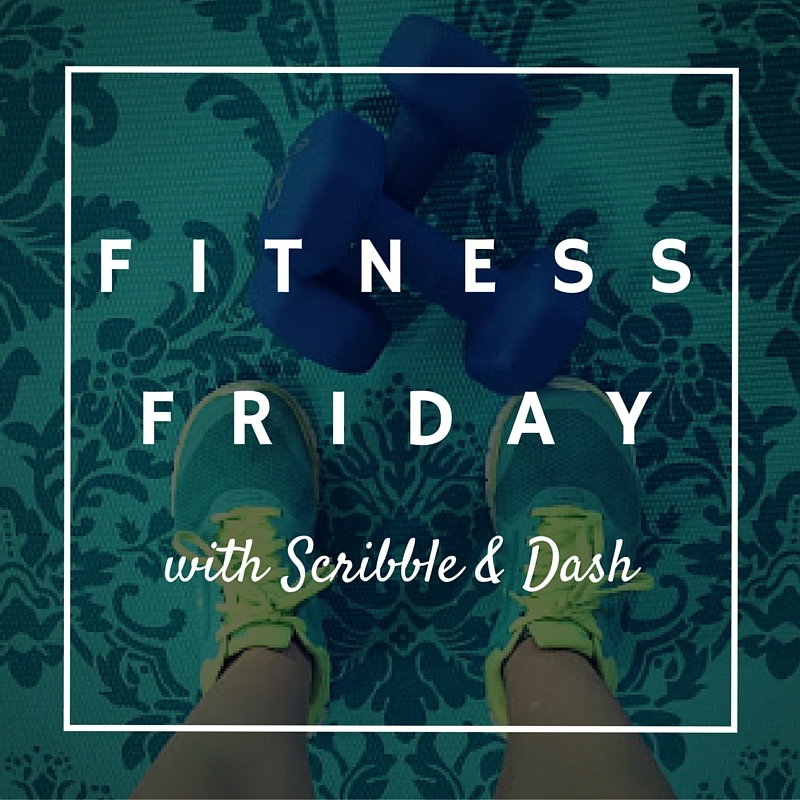 I personally love having a partner to train with and hold me accountable... Also it makes working out more like a happy hour where you can chat and keep up with one another! Back to our crazy weekend and how this all ties together. My baby sister moved away for college last year, she's loving it and I am missing her a ton! She is actually the entire inspiration behind this workout series and in the spirit of creating the Roomie Workout we went to visit her Friday! I got to see her apartment that she's living in with a couple other friends, I got to walk the campus with her and we even got to do a quick workout!! That was just the BEGINNING of our weekend, I'll catch you all up throughout the week and stay tuned for Friday's Fitness post where I'm going to recap the entire MO' Cowbell Half Marathon I participated in!!! Anyway... Go on, right now and get this workout downloaded to your Sworkit App! !